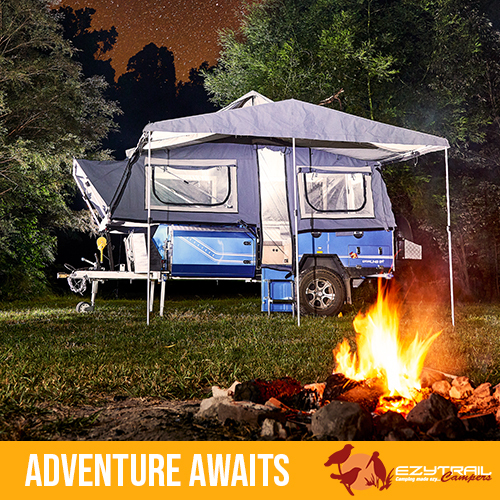 The new 2017 Ezytrail Stirling LX Mk2 Camper Trailer now features a fully automated electric roof system, opening the camper has never been so quick & ezy. So what makes the new Mark II Stirling LX that much better than it's predecessor? 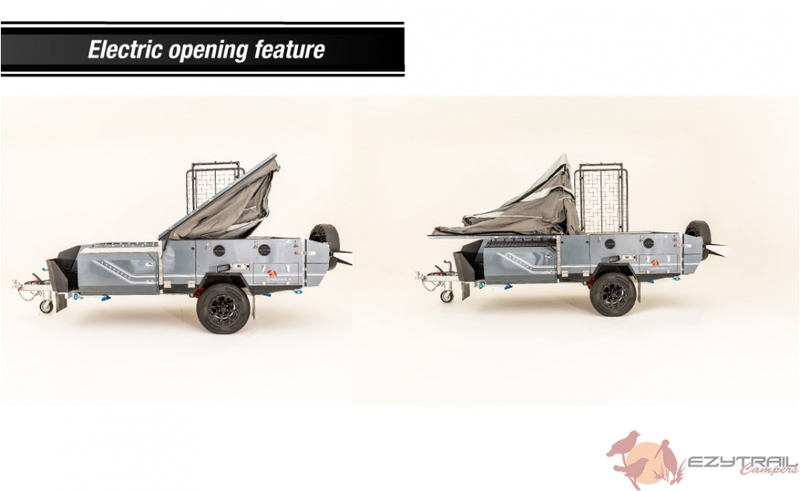 The automatic electric roof opening system for one...That's right the roof is self opening! Packing up the main tent can be achieved in less than two minutes using the all new remote controlled gear driven electric actuator. Mounted over the trailer roof is a foldaway luggage/boat rack capable of carrying up to 150kg of cargo. 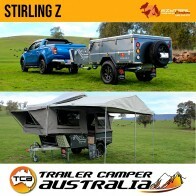 Adding to this the new 2017 release is the most multifaceted forward folding family camper in the Ezytrail range. With extra storage boxes for poles and fishing gear at the back of the rear slider, the entire front toolbox is freed up. 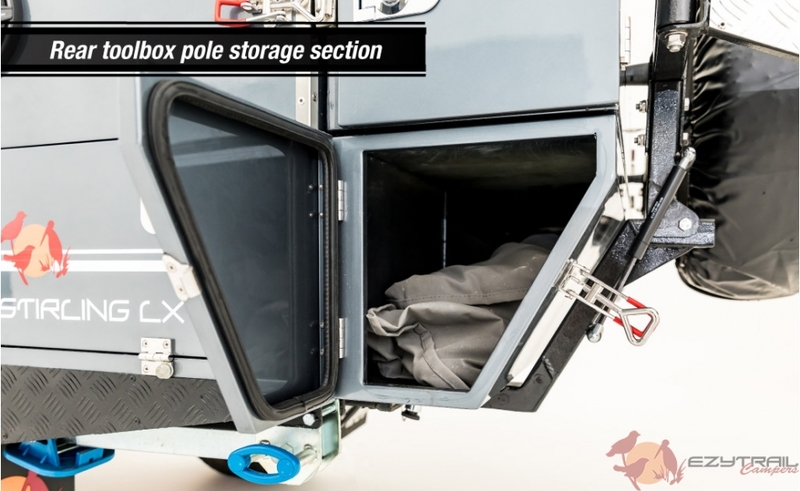 One of the compartments is even accessible from the inside of the trailer, this is an ideal spot for that flashlight or repelling spray. 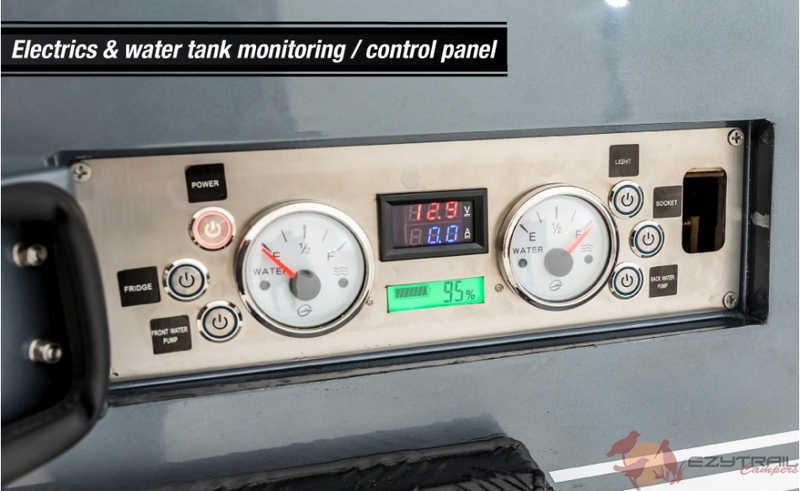 The updated Ezytrail Stirling LX now has the power & water tank control panel located in the annexe, right next to the kitchen. This is a great improvement as it used to be on the opposite side. 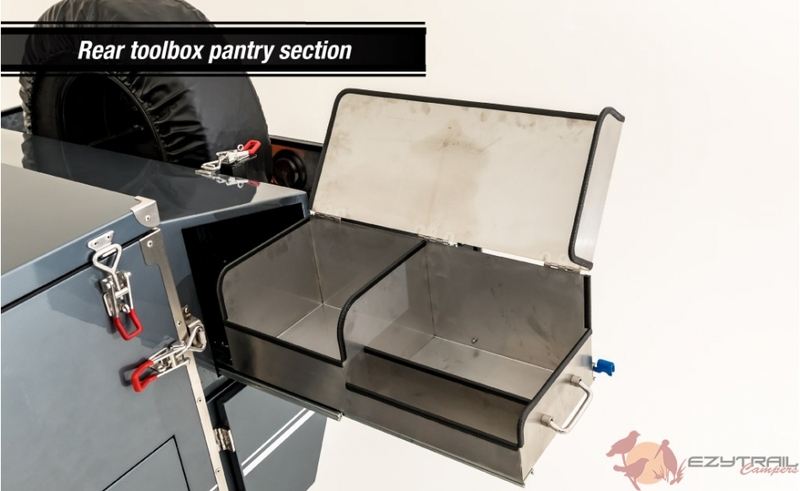 Adding to this Ezytrail has also reversed the kitchen slide set-up, and the addition of an extra pantry box within arms length will give your more pantry storage and easier access when cooking up a storm. 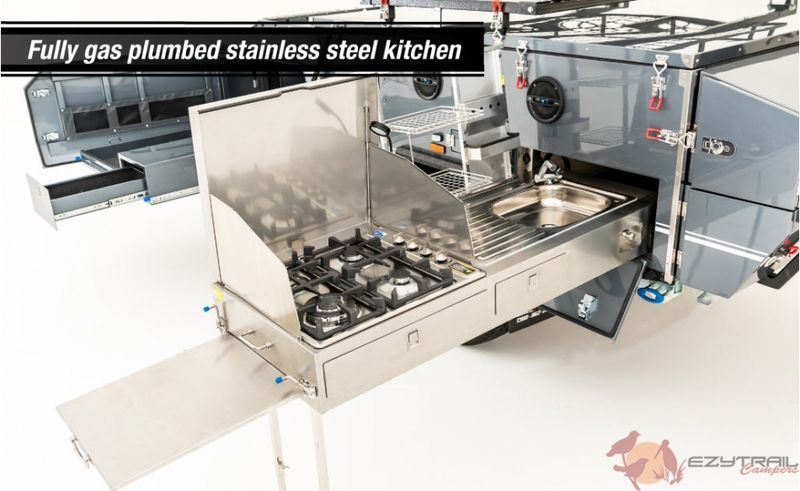 The all new splash guard, cutlery draw & drying rack finish off the 2017 Mk2 LX kitchen upgrades. The interior sees the cushions upgraded to a button-free leatherette finish, as seen on the flagship Lincoln LX model. 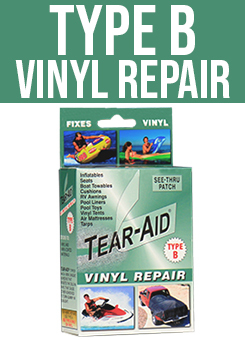 This new addition makes them easier to clean while also giving the interior a high quality finish. 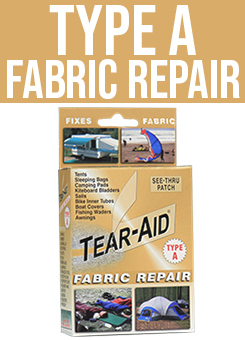 The main tent and awning are made from high quality 450gsm poly-cotton fine weave canvas and all stress points are double stitched throughout for durability. 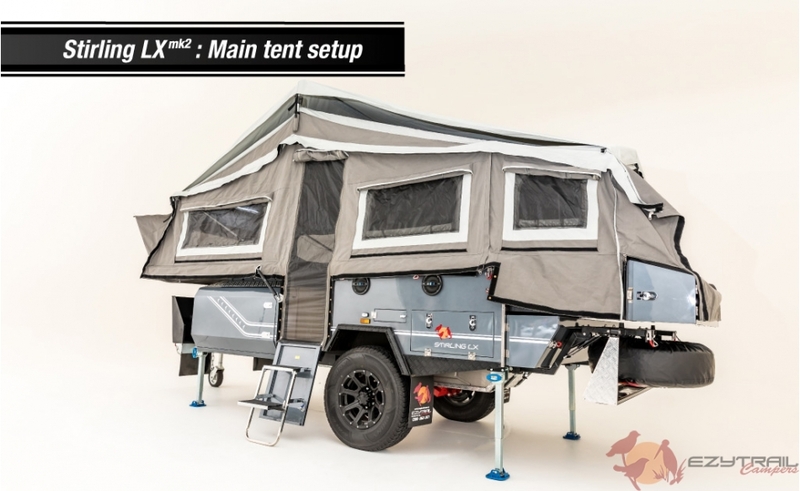 Windows are screened with fiberglass midge-proof mesh for added durability and the canvas tropical roof will give you extra protection and cool down the main tent. 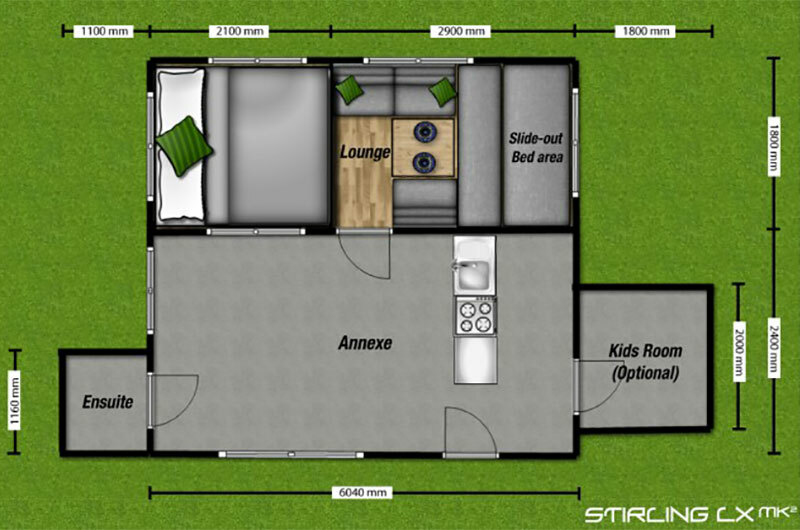 With the storage compartments at the rear slider, the annexe gives you an extra 350mm. 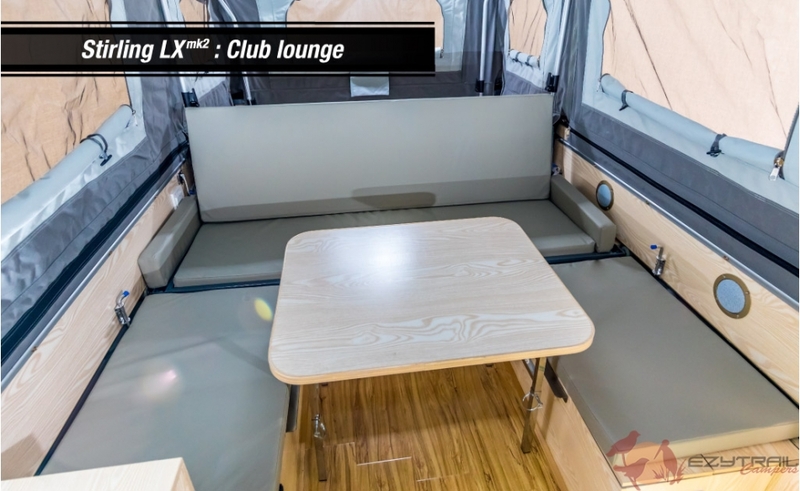 Standard comes an attachable nylon ensuite tent for that extra bit of luxury and convenience. No need to upgrade your bedding, you’ll wake up feeling relaxed on the high density foam mattress and we’ve now added a fully screened in mesh so you can leave the alfresco blind up on those hot nights.